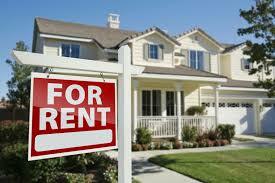 The period of your tenancy – you can rent a house for 6 months up to 7 years. Your tenancy period can be determined by your job, budget, where you want to live, how long you will be in the UK among other factors. Your budget – this is very important because you don’t want to have any problems with your landlord. Consider your budget to be able to have a range of houses you can afford. Having a budget not only saves you money but also makes it easy for you to get a house because they usually have a range. Decide the area you want to live – although you may have several areas you would like to live, with your budget you can be able to determine where to rent a house. Alternatively, you can make up your mind to live in a certain area regardless of the rent amount provided you like the area and you can afford the rent. Have your documents ready – agents and landlords usually check your documents when renting a house to confirm your identity, employment status, credit history and immigration status. Therefore, you should have your documents ready when looking for a house to rent. Do you have a right to rent? Only people who are aged 18 years and above have the right to own property or rent a house in the UK. Your landlord or agent will make a copy of your documents for filing just in case anything comes up. After you’ve considered all the above, you will have to decide whether you will rent from a landlord or from letting agents. If you will rent from a landlord, you will have to look for landlords who belong to an accreditation scheme to avoid having problems in future. On the other hand, if you are renting through a letting agent, you need to find out their fees (costs), when you need to pay them and their preferred mode of payment. For transparency and professional dealing, all the fees should be clearly visible to you both on their website and their office. Ensure that the letting agent you are working with is accredited through a professional body e.g. NALS, RICS, ARLA and UKALA. This is important because it means that they have the right protection of your money and you are safeguarded in case your funds are misused. Finally, it is not easy to find a good letting agent. You will have to do a thorough research considering a number of factors such as their level of experience, credibility, level of professionalism and reviews from their clients. Alternatively, if you have a friend, family member or a colleague who works with a reputable letting agent, don’t hesitate to get a recommendation because it can save you both money and time.